The contributions and impact of CNC (Computer Numerical Control) Milling in our everyday lives and the world at large has been so immense, so much that when one thinks about this technology, it’s so easy to find practical testimonials all around us. A benefit of this technology always comes to mind when one thinks about it. However, where there are advantages and benefits, there are likely to be disadvantages. This is simply because what favors one party is likely to hinder another. This article shows some disadvantages and possible limitations of using CNC Milling in today’s world. The following are some ways in which CNC Milling can be detrimental to the society, individuals or businesses. Conventional manually operated milling machines are by far cheaper to purchase and setup compared to CNC milling machines. This initial cost may put off potential business owners either looking to startup businesses involving this technology or those looking to make the switch from manually operated milling machines. This disadvantage is a major turnoff as it somewhat restricts the technology to businesses with above average level of funding. 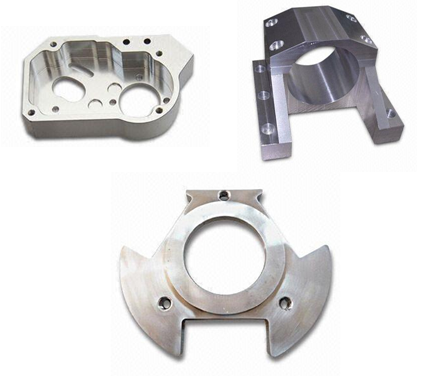 The use of CNC Milling means that there will continuously be less need for manpower and little or no supervision is required for the machines to operate. Consequently, this means that the thousands of jobs of machinists have suddenly been replaced by machines. In situations like this, there is not much businesses can do to reduce this problem. The machines are more effective and accurate and for the amount of work required, precious and speed just has to come first. Ultimately, this means that heavy investment in CNC milling machines can lead to heavy unemployment.